There is nothing like curry to bring some spice back into your wintry nights. After a slew of traditional flavorings on ye olde tastebuds and a sky that’s been filled with the promise of snow, it’s been time to warm things up a bit in the kitchen. With Thanksgiving gone and holiday baking a week or more away, along with the fact that hubs and I are working to create our little, less-than-seven-hundred-square-feet home into a tastefully decorated Christmas wonderland, who wants to spend even more time in the kitchen–well, other than me, apparently, being the author of a food blog, and my other foodie compadres–?? Lucky for all of us, the meal I’m about to share with you rivals the timing of the good ole thirty-minute-meal goddess herself. This is a perfect dish for a cold night: the curry and horseradish bring heat to the dish, but less than you would imagine (which is good for the heat-pansies out there, myself included) and the citrus is just plain seasonal. And it’s only a few ingredients, and cooks up quickly. Marvelous. 1–In a small bowl, mix us 1/4 tsp. 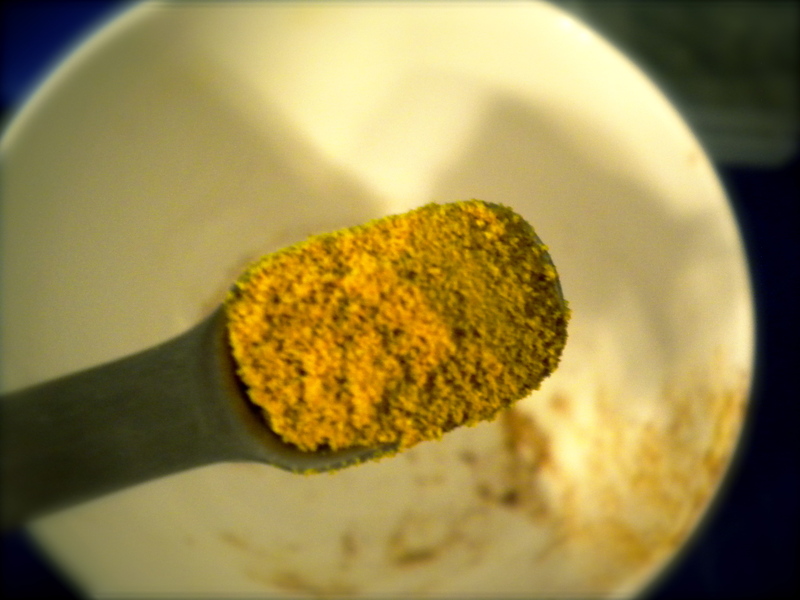 curry powder, 1/4 tsp. 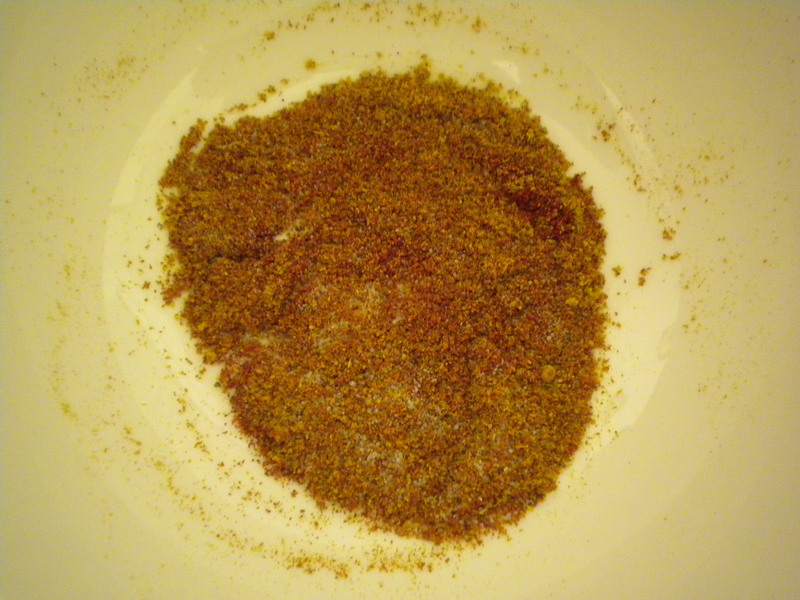 paprika, and 1/4 tsp. salt. 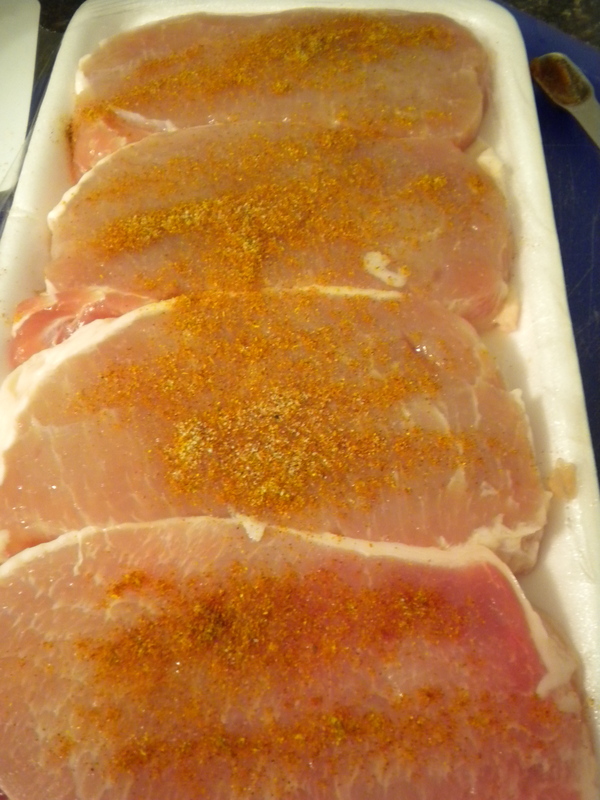 Sprinkle it all over your pork chops. 2–Heat a non-stick pan over medium (or a stainless steel pan with a little bit of olive oil sprinkled and smeared around, which is what I went with) and put your pork chops in there. Cook for 3 minutes per side, or until no longer pink. NOTE: If your chops are thicker than 1/2 inch thick, be prepared to cook’em a bit longer. I cooked mine about 5-6 minutes per side and made sure there wasn’t any pink left. Luckily, they didn’t wind up dry at all, but just be careful! 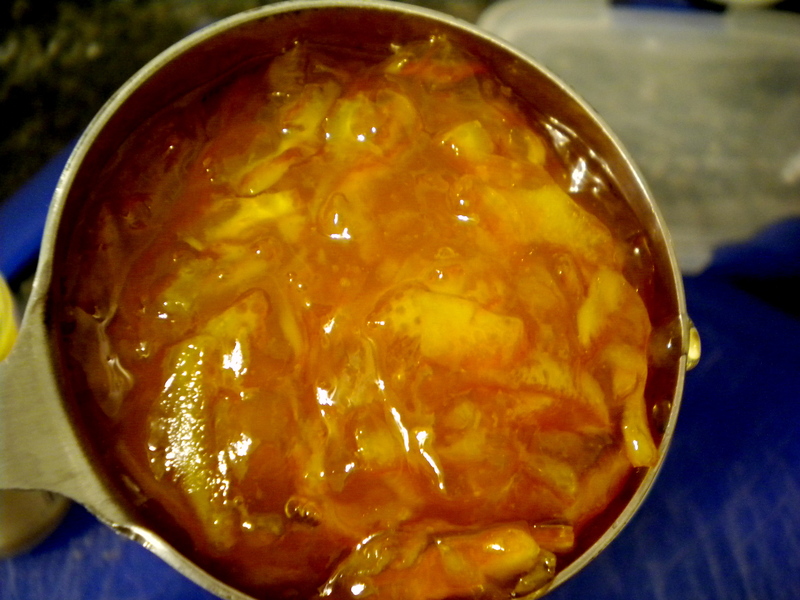 3–While your chops are a-cooking, mix up 1/3 cup orange marmalade, 1/2 tsp. 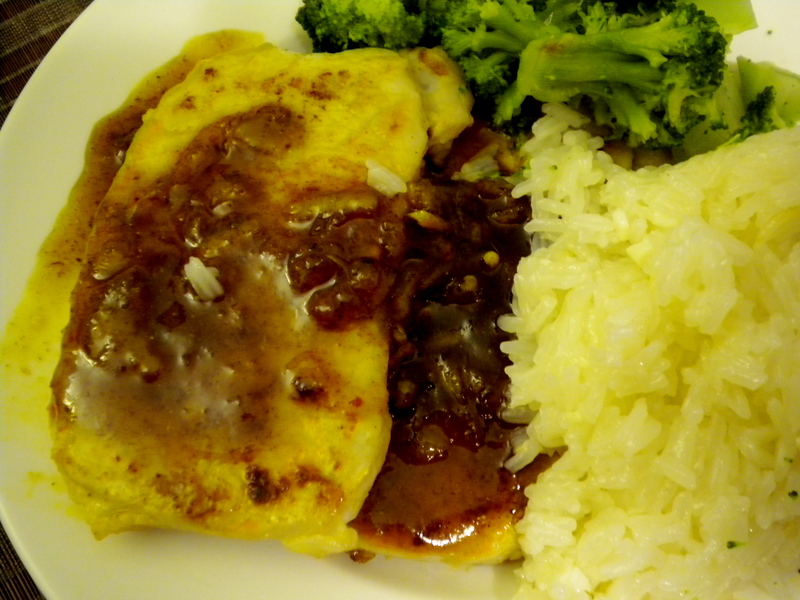 curry powder, 1 1/2 tsp. prepared horseradish, 1 1/2 tsp. 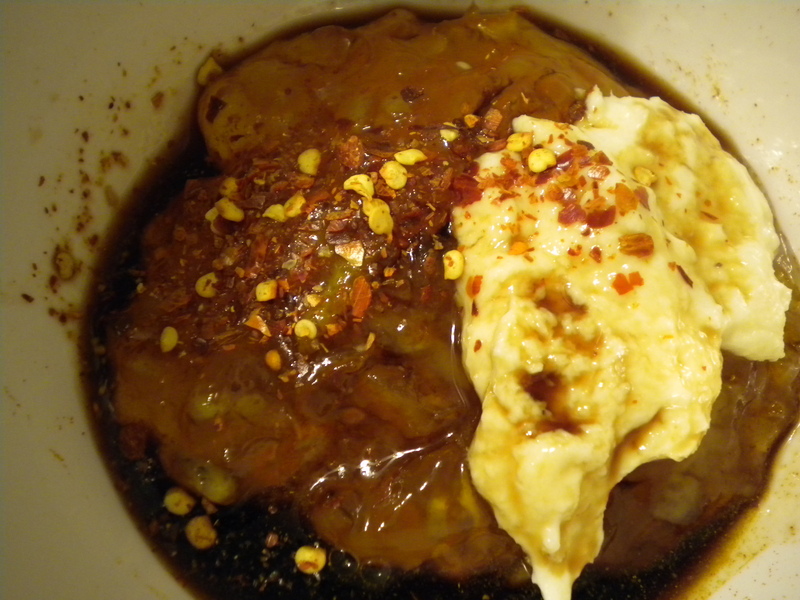 balsamic vinegar, and 1/8 tsp. crushed red pepper. (Go ahead and mix it in the same bowl you mixed the spices in–why not? Save a bowl, fix a porkchop). 4–When the chops are done, remove them from the pan and set aside. Pour in your marmalade mixture and cook for 15 seconds, scraping up all the good pork chop brown bits from the bottom. Pour on top of your chops and voila! Hmm, heavenly! What a fabulous combination of flavours – I can’t wait to get some pork chops to give this recipe a go. Oh yes, please do share THAT recipe.